A collection of 50th-floor Penthouses at 70 Columbus, the iconic luxury rental tower in downtown Jersey City, has been temporarily transformed into a pop-up art exhibition featuring the work of regional artists, artisans and boutiques. 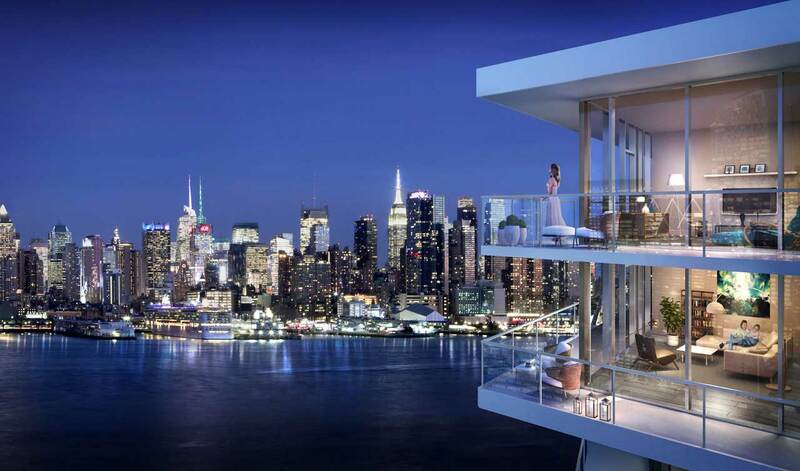 The public, as well as those interested in viewing the luxe apartments which offer stunning views of the Hudson River, Statue of Liberty and Downtown Manhattan, will have an opportunity to see the exhibit, titled “Mementos,” in an authentic apartment experience where all art, furnishings and accessories are for sale. The meticulously curated exhibit, presented by Jersey City-based Panepinto Galleries in collaboration with 70 Columbus, was conceived to showcase neighborhood shops and a superior coterie of artists that weave together themes of love and remembrance through paintings, drawings and sculpture. “Mementos” is a selection of works inspired by this positive expression, with artwork curated by Michelle Doll and Lisa Lebofsky, jewelry & fashion consulting by Jessica Van Treuren, and interior design by Regina Mariano. “Mementos” is open weekly on Saturdays and Sundays from 1 to 7 p.m. through March 6th, with sunset cocktails offered from 5-7 pm. Additionally, it is open by appointment and available for private events. Developed by Ironstate Development Company and Panepinto Properties, 70 Columbus has exploded onto the downtown Jersey City residential scene with an impressive 50% of its 545 modern apartments leased since opening in November. Located at 70 Christopher Columbus Drive adjacent to the Grove Street PATH Station, the building features studios, one- and two-bedroom residences, with monthly rents currently starting from $2,400. The Marketing Directors is the building’s exclusive leasing and marketing agent. Well-designed residences feature airy, light-filled interiors, unique crafted finishes and sustainably-sourced materials. Oversized windows maximize panoramic views of the New York City skyline while spilling sunlight across oak wood floors. Sleek kitchens are outfitted with GE stainless steel appliances, Kohler fixtures and white quartz countertops. Incredible social spaces designed byNoé Duchaufour Lawrance include an inviting and attended lobby and a stylish resident lounge, while a 60,000 square-foot landscaped roof deck offers a pool, sport court, grilling stations and dog run. Residents also enjoy free membership to Base Gym, a 30,000 square-foot, state-of-the-art gym located on the ground floor of the building. For more information on 70 Columbus, visit www.70columbus.com, or call 201-433-7004. Panepinto Galleries was founded by Stefania Panepinto in 2011 as a collective space to host gallery exhibitions and film screenings. Located in the heart of the Powerhouse Arts District in Jersey City, NJ, the 10,000SF gallery and artist’s studios have been vital in building a vibrant community for artists, local residents and visitors from the surrounding metro area. For further information and to join our mailing list, please contact the gallery: art@panepintogalleries.com| T: 201.521.9000.